Kate and Andrew had the most quintessential NYC wedding. When I first hopped on the phone with Kate back in February last year, we instantly hit it off and what was supposed to be a quick call, turned into an hour of a late night chat that felt like I was catching up with a long lost friend. I really got to know Kate and Andrew the months leading up to their wedding. There would be personal touches sprinkled throughout their wedding experience. Their save the dates were drawn by a close friend. Kate wore her mom’s earrings. They also showcased their Scottish heritage as Andrew wore his grandfather’s kilt from 1974 and there was a bagpiper that greeted them after their wedding to lead a parade up 5th Ave for them and their wedding guests. 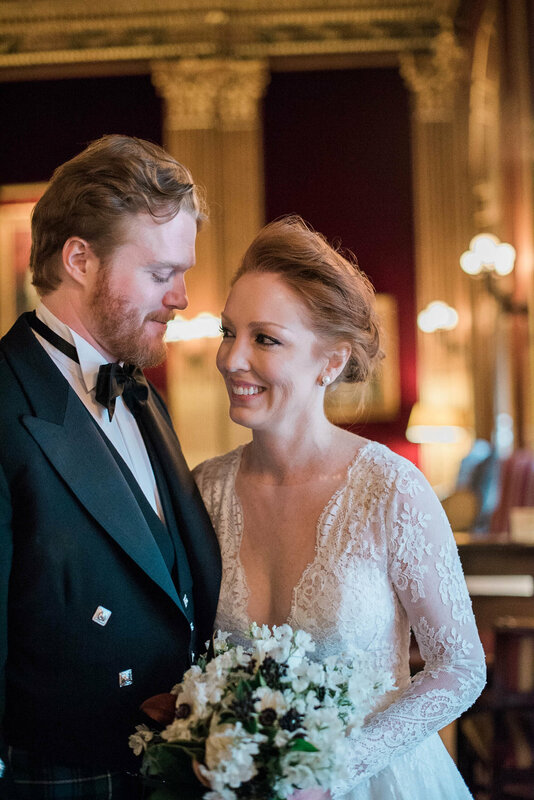 They had a traditional ceremony at the iconic St. Patrick’s Cathedral followed by a romantic candlelit reception at the University Club of NYC just a few blocks up. And while you are always gambling a bit with weather in NYC in October, we were welcomed with rain and lots of it! But you know what they say, the wetter the knot, the harder to untie. And we didn’t even notice, because at the end of the day, Kate and Andrew got to marry their very best friend in front of family and close friends and I was able to capture this couple as they began a brand new chapter together. I am most excited to see what the future holds for us as a family! I could not be happier to be married to this man. I am looking forward to many great adventures with Kate - but most of all I am looking forward to waking up everyday next to the person who inspires me most, and coming home each evening to hang out with my best friend.